Introduction Pilates, the 90- year old internationally recognized method is an all-encompassing workout, offering itself to just about everyone from the sedentary office worker to the professional dancer. The Method compounds muscle groups & trains the whole body, coordinating the upper and lower musculature with the body’s center. All the 500 odd exercises are designed to get the body to work through it’s full range of motion, using every single bundle of the 800 voluntary muscle-motors that each of us has been given to alter ourselves. The Method combines the best of the Western and Eastern traditions, blending the mind and body, and viewing them as a unit working in complete harmony with one another. The Eastern approach to exercise is a path to calmness, being centered and whole, with an emphasis on stretching and limbering. The Western approach emphasizes motion, muscle tone and strength. Joseph H. Pilates emphasized both these approaches in his Method. There is no free play of movements made quickly or jerkily. There is no impact, & no violent movements. Heavy weights are not involved, and in most cases movements are only repeated a few times each. Any straining to the point of exhaustion is considered counterproductive. While Pilates takes a “whole body” approach, other programs take a “body parts” approach to conditioning, with specific isolated exercises for each muscle group. The balanced body method elongates as it strengthens & stretches, resulting in long, strong & lean muscles. The exercises are totally non-impact and non-weight bearing, producing fast results. No muscle group is overtrained or undertrained. The entire musculature is evenly conditioned. This style of exercise is well known for producing sleek, strong, muscular bodies. Little wonder that actors and celebrities Cameron Diaz, David Beckham, Madonna, Katherine Hepburn, Meg Ryan, Sandra Bullock, Megan Fox, Elizabeth Hurley, & Martina Navratilova, to name a few, have turned to this system. The Method should be combined with effective aerobic/ cardio activity such as an aerobic class, jogging, walking or cycling for a complete programme of both muscular & cardiovascular fitness. In 1923, German-born Joseph Pilates introduced his novel & revolutionary method of physical & mental conditioning to the U. S. A. As a child, Pilates was an asthmatic and suffered from rickets. This acted as a motivator to him, to improve his strength and physique. Pilates' method was the product of his life-long observation of the human body and its natural functioning. He was a gymnast and pugilist who had brillant & creative ideas about fitness & rehabilitation following physical injury. In a British internment camp in World War I, Pilates rigged a hospital bed so that patients could begin their recovery while still flat on their backs. This idea evolved into one of the main components of what was to become a whole method of exercise, which Joe called "Controllogy". What type of equipment is used? The Trapezius, Studio Reformer, Allegro Reformer, Combo chair, Wunda chair, Magic Circle, Barrels, Spinal Correctors, are some of the equipment the Hub offers. Averagely how long will a session be? Is any special diet required? No, just a normal, healthy, balanced diet. More info will be given upon enrolment. How many times a week can I workout at the Pilates Hub if I sign up? You can come as often as you like (but not more than once a day). Though a member's welcome to come in all 7 days of the week, it's recommended that ideally they do Pilates in the Hub about 3 times a week. Do I have to take a specific day/ batch? No. You can come in anytime the place is open. But men are restricted to the men's timings only. Will progress be recorded by the trainer? (weight/ body fat etc)? Yes, on a montly basis. Will a trainer be there at all times to guide members? Yes. Depending on a person's particulars (age, health problems, goals, fitness level, etc), the trainer will make a programme for each individual member, & help them implement the same. The programme will be changed frequently by the trainer. Is there an attached loo, changing room, lockers? Yes. If you'd like a locker, speak to any of our Trainers & they'll help you. Can we do Pilates in conjunction with other exercises? Yes, there is no prohibition from working out with other exercise programs depending upon your goals. Should I continue with any other form of exercise? Yes, cardio (Aerobic classes, treadmill, cycle, walk, jog, swim etc). If you're also working out at the Gym, get in more cardio than usual. If I'm a senior citizen, can I do Pilates? Yes, with your doctor's approval. Joseph H. Pilates used the Method into his 80s, and so do many elderly people in their 60s and 70s. Can the Method help people with tissue damage? Yes. May people with tissue injuries, especially athletes and performing artists, can repair damage to the body using the Pilates Method. Can a person lose weight/inches by doing Pilates? By using the Pilates Method, you will tighten all your muscles and lose inches around the stomach, thighs, and buttocks. In conjunction with a proper diet, the Method promotes a lean and graceful appearance. Will I develop large muscles with Pilates? No. Long, lean, defined muscles are developed. 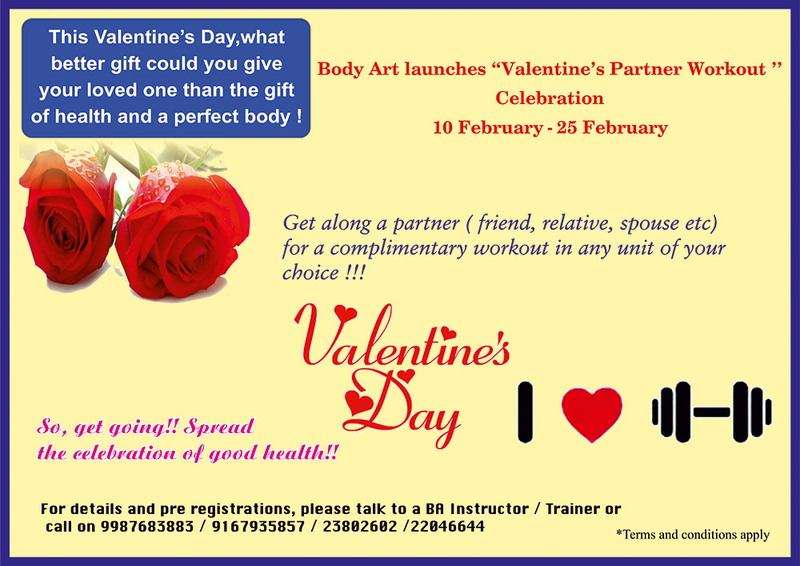 Is it going to be anything like the Pilates mat classes that Body Art conducts in the Workshop? No. It's all equipment based only. Your body becomes slimmer, firmer, stronger & more shapely, losing inches around the mid section and thighs. Many musculoskeletal injuries can be reversed, Pilates playing a special and valuable role in rehabilitation. The right way in which to lose weight is not by dieting, but by eating the right kinds of food, coupled with the right amount of exercise. Diets (& especially crash diets) are not only ineffective, but can also be extremely harmful. Remove the skin from chicken, fish & meat before cooking. These skins contain a high level of fat. Did you know that it takes your brain 20 minutes to realize that your stomach is full? So, if you eat slowly, putting your fork down after each bite, you'll become full after eating less food. Eat out of a smaller plate- you'll tend to feel you're eating more than you really are! Cut down on milk & milk products such as yogurt, cheese, cottage cheese, ice cream, fresh cream, etc. If you must consume the same, make sure they are made of "No fat" milk, which is easily available. Eat more carbohydrates. Ideally, 58% of our daily food intake should be in the form of carbohydrates, but mostly in the form of fruits & vegetables. Consume less starch, e.g. rice, bread, potatoes, chapattis, & pasta. Switch to unpolished rice, wholemeal or multigrain bread, chapattis made of nachni, johar or bajra flour (not white or wheat flour). Consume only one starch per meal, not more. Avoid fried foods. Use cooking methods such as boiling, baking, steaming & grilling instead. Keep these foods in check: butter, mayonnaise, whipped cream, cakes, chocolates, desserts, salad dressing, Indian sweets. It's interesting to know that by cutting down on fats & increasing your carbohydrates, you can eat more food without increasing your caloric intake! This is because: 1 gram of fat= 9 calories, whereas 1 gram of carhohydrates= 4 calories. Cut down on meats. Most of us eat 2- 3 times more protein than our bodies require. Cut down on aerated drinks. Avoid juices. Drink more plain, room temperature water through the day. Avoid alcohol as it is high on calories. 1 ounce has about 200 calories. Eat to the extent where you are satisfied, but not stuffed! Most of us have this tendency to over-eat without even realizing it. Of course, changing old habits is not easy, so be patient. Moreover, be honest with yourself. Term fees are to be paid when the member comes in to fill out their form and enrol or to rejoin, as the case may be. One may not pay their fees and start on the same day; fees must be paid in advance of a member's commencement date. If it's the first time you are joining the Pilates Hub, just walk into the Hub and any of the Trainers will guide you through the formalities. Note: all our timings are open to both men and women. If you've been working out at our Pilates Hub before, you can just pay the trainer & sign-up in the Pilates Hub, Gym or Workshop directly in advance. One may not pay their fees and start on the same day; fees must be paid in advance of a member's commencement date. Upon being a member at the Pilates Hub at Body Art, the following will apply to you. You will receive an ID Card from your Trainer on the day you commence your term, which you will need to produce whenever you take a session. Once the commencement date of your class has been fixed, it cannot be changed for any reason. You will get the most out of the Hub with 3 sessions a week. If your goal is to lose weight, combine this with regular aerobic / cardio exercise with a sensible diet which limits calorie intake without depriving you of the essential nutrients you need. Many exercisers like the look and feel of leotards and tights. T-shirts, track suits, cycling shorts, shorts etc. but any non-binding clothing, that allows you to move freely is fine to wear. Cotton especially during the hotter months of the year is preferable as it allows your body to breathe easily. Synthetics, on the other hand, like nylon, spandex or lycra, do not, and so are avoidable. Shoes and socks are not required. Please read the locker rules carefully. Do not leave anything of value in the locker. You may find our shower facilities convenient. Kindly show your ID card to the attendant on duty whenever you would like to shower here. Valet parking is available on all days of the week. Please hand over your car key to our valets for everybody’s convenience. Please park all the way in to the second driveway. The first driveway is for building residents only. We will be keeping track of your progress once every month. Speak to the trainer about this. Foreign exercise-wear and low-calorie snacks are available at the BA Accessory Corner and at the Pilates Hub. Please bring a towel along to use on your floor mats that will be provided by us. Don’t eat about 2 hours before a session. If you’re very hungry, you could eat a light carbohydrate snack before you come in, but make sure you keep a gap of at least 1½ hours between your snack and your workout. Enrolment can only be for the whole month or for consecutive months. Your sessions can be taken during the term only, and not beyond that. Your sessions cannot be carried forward into the next term. Your term is not transferable to anyone else. Regular members will be given term priority over wait-listed members. This priority is subject to confirmation and payment of fees for the new term at least a week to 10 days prior to the completion of the current term/commencement of the new term. In the case of new students and regular students who are rejoining, fees are payable at least a week-10 days before commencement of the new term. There will be no refunds for any reason. We will be closed on certain Public Holidays. These dates will be specified on the Notice Board well in advance. Please have you Medical Clearance Form duly completed by your Medical Practitioner and return it to us as soon as possible. Any loss arising out of damage to any equipment / property of Body Art caused by an act of any member will be charged to the member against the loss so determined by the Management. © 2018 Body Art. All Rights Reserved.